Tarte's New Skincare Sister Is Making Us Feel All Sorts Of AH-WAKE And AAH-MAZING! 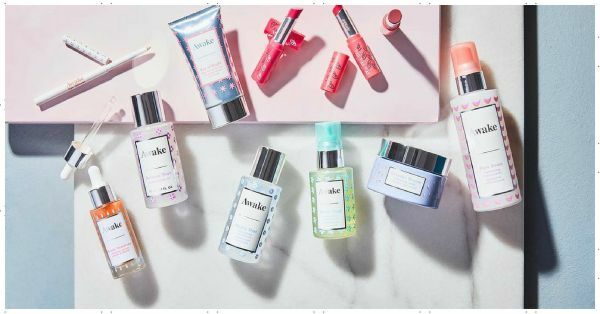 Tarte Cosmetics just launched a sister skincare brand called Awake, and they're calling it "Beauty sleep in a bottle"
Much like Tarte, Awake seems to be promising all things UH-MAZING. The brand focus right now is on skincare serums, think of them as espresso shots for your skin. Awake has been inspired by Japanese beauty and every product is enriched with antioxidants and botanicals. And much like Tarte, everything is millennial-friendly, super innovative and cruelty-free of course. Technically Awake has been around for nearly 15 years, it's only recently that the brand joined hands with the creative powers of Tarte to get a complete makeover. Designed to please your aesthetic side and cooperate with your jet-setting lifestyle, the multitasking products are going to make you look and feel like you've had your 8 hours of beauty sleep.